Obstetric fistula is a devastating childbirth injury caused by prolonged labor and lack of access to maternal health services. 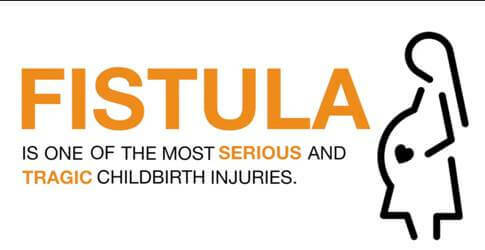 Through treatment, rehabilitation, and prevention UNFPA works to end obstetric fistula. Obstetric fistula occurs mostly among women and girls living in extreme poverty, especially those far from medical services. Obstetric fistula is a hole in the birth canal caused by prolonged, obstructed labor. It leaves women incontinent and often leads to chronic medical problems, depression, social isolation and deepening poverty. Through the Campaign to End Fistula, UNFPA works to prevent and treat fistula and to rehabilitate fistula survivors so they can rejoin their communities. The coalition of organizations active in the campaign is present in more than 50 countries and has directly supported 85,000 surgical repairs for women and girls. UNFPA helps fistula survivors reclaim their lives. See the impact of this crucial work. 830 mothers die every day in childbirth. Not a single mother should die while giving birth. MATCHING GIFT EXTENSION! There is still time to make 2x the impact. Donate by midnight on January 31st and your gift will be matched up to $50,000. Make a gift and help us support UNFPA’s lifesaving work.